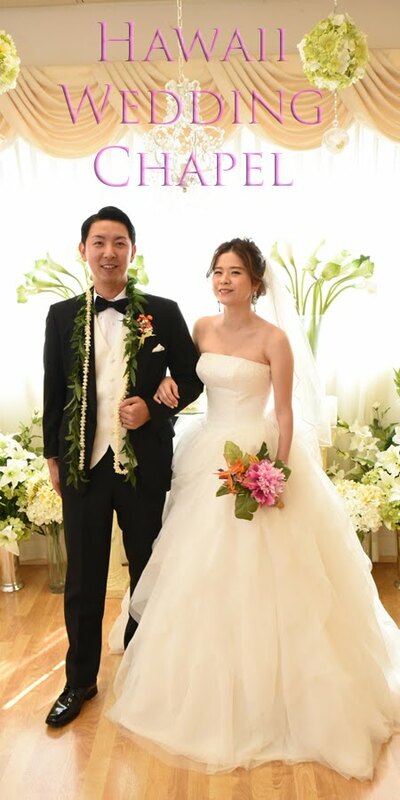 Lovely Japanese Bride looks great in her beautiful wedding gown. Groom leaves a good impression too. 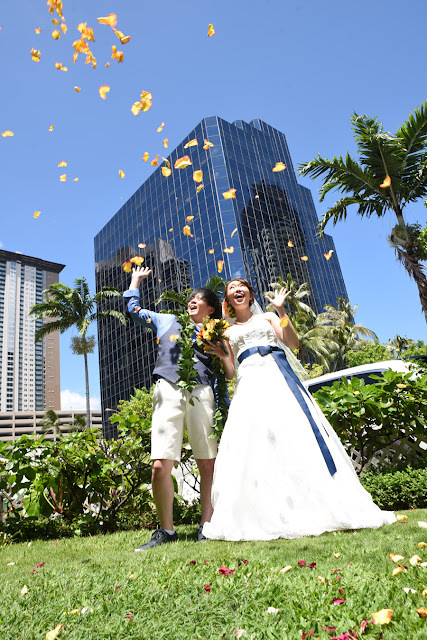 Bride and Groom have a little fun with a rose petal flower shower in Honolulu Hawaii.